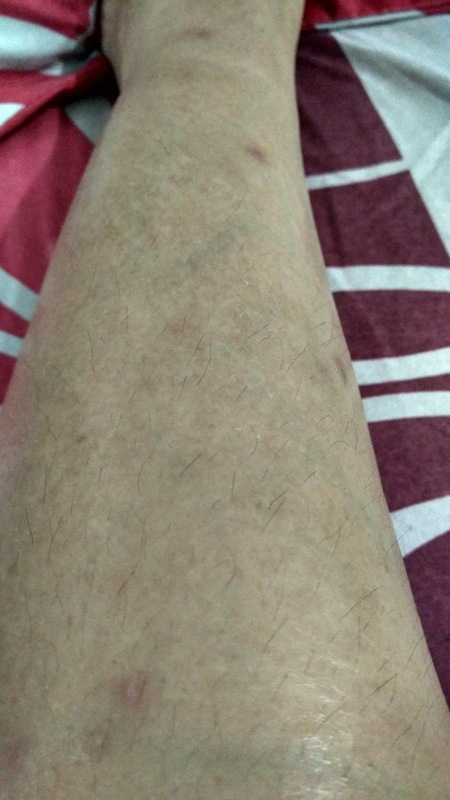 Coping with Ichthyosis: 26112017 Skin shedding day? So finally am able to keep my skin moist, thanks to the Vaseline Advanced strength lotion. When the skin itself, I'd refer as the base, is moist the upper layer of dead cells start to "shed". 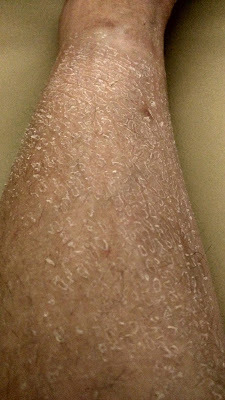 IV has always been referred to as crocodile skin because of the scales, or snake skin because of the "skin changing", or fish scales also cause of the scaly appearance.Today after showering with the Rosken Dry Skin wash, I noticed I was "shedding skin". This happens once a month, and as a female, I think it relates to my cycle, though the duration varies. 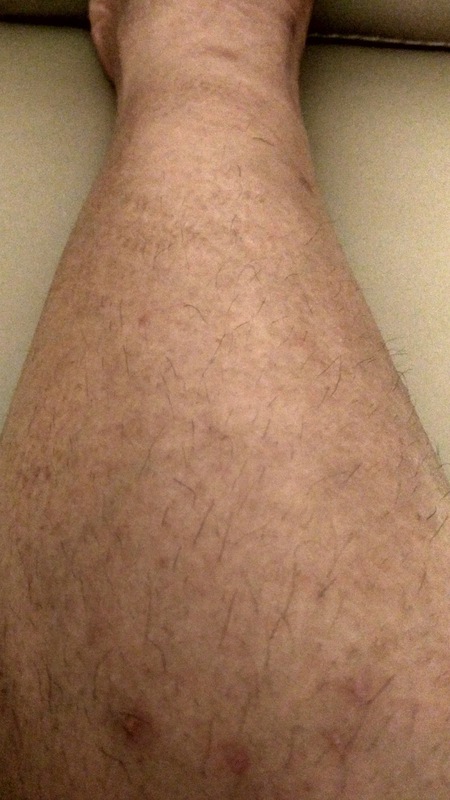 It usually happens during my ovulation period and after this "shedding" process, silky smooth skin revealed! Then before my period come, the misery of super dry skin comes too. So I concluded that, at least for me, it relates to my hormones. Here, I am "shedding" skin. Gross isn't it? That's why I need to scrub, it's not itchy or painful tho, no open wound except some old scar spots. Updated on 29112017, just few days after above condition. I had only scrub on one day, which is on 27112017. Below is my skin condition, right after shower, NO lotion. Amazing isn't it, how the skin changes in just few days. Usually it follows my cycle, and it just past my ovulation week. I'm also affected by this condition. Thank you for your posts. I would also like to see a recet daily routine post.